Sunshine’s LED digits are the boldest, brightest and most reliable on the market. Boasting a viewing angle beyond 120 degrees & available in sizes from 36in. to 114in., the technology is designed to draw attention. They are also built to last, with bulbs rated for +100,000 hours and ruggedized to withstand inclement weather. LED Billboards are updated instantly via Sunshine's Uplink system. Offset the agony of fuel costs with the thrill of a rolling jackpot. The StripeSign system places jackpot displays on the primary signage a gas station uses to advertise its prices. Prime real estate like this is ideal for driving customers from the fuel pump to the ticket counter. 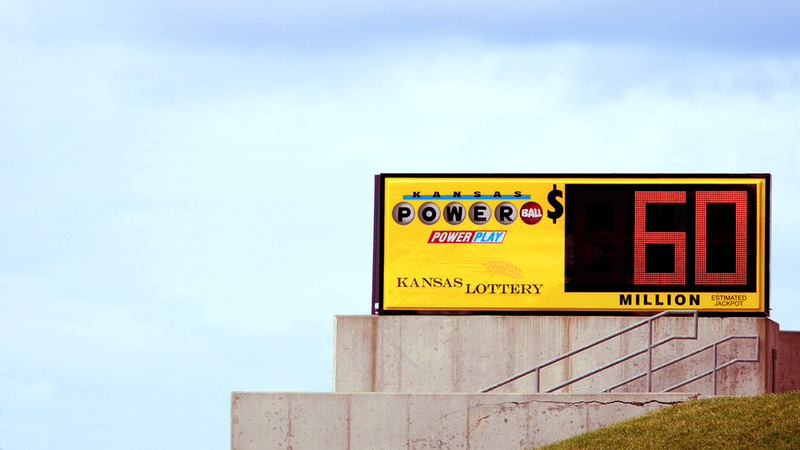 Portable, multi-position StandSigns give clients the ability to take jackpot displays into their own hands. Want to move your LED sign? No problem. Just unplug,relocate and plug back in. Sunshine’s Uplink Center will remotely update jackpot information. LED PumpToppers, are an innovative way to reach your customers at the pump. PumpTopper jackpots are simultaneously updated with your billboard displays, allow for customized artwork and are completely portable. With your jackpots at the pump, players will have millions of reasons to step inside and buy a ticket. Our LED SkyRise jackpot display smartly combines the visual impact of a large format billboard with the heightened exposure that comes from high traffic areas. Mount SkyRise displays anywhere there is action—an office building, high-rise or ballpark—and watch jackpots soar. Available from 28in. to 114in. tall, these displays are frequently combined with an LED backlit cabinet and creative artwork to garner the most attention. TallDigit jackpot displays are a field-proven, mechanical alternative to LED digits with more than 25 years of service to the lottery industry. TallDigits are available in any PMS color combination, and digit sizes ranging from 3ft. to 10ft. Talldigits can be solar powered, making them ideal for remote billboards with unreliable or non-existent electricity. But off the grid does not mean out of touch, Talldigits are remotely & wirelessly updated just like our LEDs.